Shrugging shoulders, huffing and puffing, and flashing eyes – these are sure signs of an irritable mood. A harsh tone of voice, sharp hand movements and a reddening face can convey anger and aggressiveness. Slumped shoulders with watery eyes and a downturned mouth are signs of being very upset. A head thrown back with a happy expression and eyes creased at the corners shows happiness and laughter. Body language is one way we use to communicate but speaking to each other will give a much clearer message of what we mean. Having said that, speaking to each other might not be quite as easy as we´d like! Have you ever been on holiday or in a similar situation where you´re trying to ‘speak’ to a person from another nationality despite only knowing a few words, if any at all, of their language. You end up enacting a form of charades to try and explain what you mean which can be as hysterical as it can be exasperating when you can´t get your point across. One way to make sure you´re really understood is to simply learn their language! And it really is simple with the wide choice of language classes available and the modern methods used. Language learning can be done at home with the aid of online courses, with a tutor in a place to suit you and at a time to fit in with your schedule, in a one-to-one situation or in a group environment if you prefer. Original teaching methods make learning languages fun and easy to reach fluency. So make your message clear by mastering a new language! 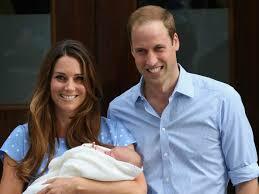 This week welcomed the arrival of the baby Prince George, the future king of Britain! Born on Monday 22nd July in the same private wing of St Mary´s Hospital as his dad, Prince William, and his uncle, Prince Harry, baby George Alexander Louis has emerged as the third in line to the throne. Proud parents, Kate and William, looked happy and relaxed as they introduced their son to the eagerly awaiting media and crowds. These young royals, a modern day couple, took a break from tradition and announced their son´s name just a day after the duchess left the hospital. Historically, the naming process has always been much longer with Prince William´s name being announced after a week, and his father´s name, Prince Charles, taking a whole month to be announced. The Queen´s visit to see her great-grandson was also the first time in over a century that a reigning monarch has met a grand-grandchild who has been born in succession to the throne. So what does the future hold for Prince George and for the people? A new era for the Royal Family has begun and with it a new era has dawned for the next generation of the general population. Times have changed and, like his parents, Prince George will need to show that he can keep up with them and build good relations with both British people and people throughout the world. One way to do this would be to learn the languages of neighbouring countries just as his great-grandparents have done – the Queen and Duke of Windsor speak fluent French – and in the same way that royals from other countries learn foreign languages. 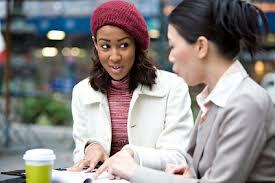 We live in a cosmopolitan world and the key to a successful future is communication. Be a part of that success and open the doors to endless possibilities by learning new languages! Spoken by those who constructed the magnificent pyramids, the craftsmen who carved and decorated the tombs in the Valley of the Kings, and the creators of the monumental temples we can still see in Egypt today, Ancient Egyptian is one of the oldest spoken languages which survives today in Coptic, the language spoken by Christian Egyptians. 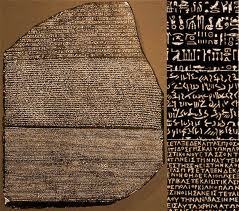 This ancient language was beautifully written using hieroglyphs which are pictures of animals, people and objects. There are over 700 hieroglyphs (meaning ‘sacred carving’) and they all represent consonants, there are no vowels! They can be written across the page or from top to bottom and the secret to reading them is to follow the direction that the animals, people or objects are facing. But how did we come to understand the meaning of hieroglyphic writing? It was thanks to the discovery of a special rock in the town of Rosetta, Egypt, by a soldier in 1799. This black basalt slab, now known as the Rosetta Stone, had the same piece of writing carved in it three times in different languages: hieroglyphics, demotic and Greek. A determined French Egyptologist, Jean Francois Champollion, finally translated it in 1822 by discovering that the hieroglyphs spelling ‘Ptolemy’ (Ptolemy V was a ruler of Egypt) were enclosed in a cartouche which he then compared with the Greek writing on the Rosetta Stone, and was eventually able to translate the rest of the writing. This amazing translation has given us the ability to read an ancient language and subsequently understand how an ancient civilisation lived. Do you have an interest in ancient languages? Or perhaps you´re curious about the history of our more modern day languages? As with the French Egyptologist who had knowledge of the Greek language, you too could open up new opportunities and possibilities by speaking another language. If the modern era of communication is higher on your agenda, then why not improve your linguistic capabilities by learning a new language today! Jodie was single, living in rented accommodation and had itchy feet. She worked for a travel company and spent her days planning and booking holidays for the customers while wishing she was travelling to those destinations herself. So she jumped at the chance when the company offered her a position abroad. A mixture of nerves and excitement filled her during the first week as she learned the ropes. Her duties were to meet and greet guests at the airport and hotels, and to sell tour tickets on the beach. This was better than a desk job any day! In the evenings, she had to complete reviews of the hotels and tours in order to ensure that the company only offered its customers accommodation and entertainment that came within its expected standards. Having a nosey around the plush hotels and experiencing the tours each day in exchange for writing a report seemed a very fair swop to Jodie. Selling the tour tickets was a lot easier than she had expected. People were already relaxed on the beach and happy to talk about what they wanted to do on their holidays, and those eager to get out of the hot sun and see the sights were more than happy to part with their money in exchange for a tour! Eventually the season finished and Jodie had to move back to the UK. She went back to her old job with the same company but with a confidence and vigour that she didn´t have before. Feeling refreshed and more knowledgeable about the tourist resorts, she put everything into finding her customers the best holidays she could that would make them want to return again and again. And they wouldn´t be the only ones to return; Jodie had already put her name down for a placement abroad the following year! With her annual plan firmly in mind, she enrolled in some language lessons to give herself a bit of a head start the next time she travelled. This role was definitely suited to her and she was determined to make the most of this perfect opportunity. If you´ve got itchy feet like Jodie, or feel that you´re stuck in a rut, do something about it and turn your life around. Learning languages literally opens up a whole world of opportunities, so grab yours now! Are we alone in the universe? Who knows; but it would be naive of us to think so. And what would happen if we discovered we´re not alone? If we ever did encounter an alien species, the first stumbling block to overcome would be communication. We´d have to find a way to understand each other’s languages. Two unmanned probes were launched by NASA over 30 years ago: Voyager 1 and Voyager 2. They were sent to investigate the larger planets of Jupiter, Neptune, Uranus and Saturn, beaming back images and data for us to analyse. They continued travelling further and Voyager 1 is now 10.5 billion miles away from Earth and Voyager 2 is 8.6 billion miles away. The mission has been successful so far…with one odd occurrence a few years ago. The space probes were never just intended for exploration. 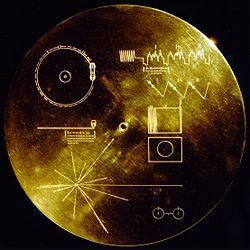 Both of them were fitted with a Golden Record, a phonograph record containing sounds and images of life on Earth in 55 languages, intended as greetings for extraterrestrial life forms or for humans in the future. So maybe the possibility of making contact with alien life isn´t such a stretch of the imagination after all. Whether you´re hoping for a future exchange of dialogue with an extraterrestrial, planning on striking up a conversation with a resident alien of the human kind, or simply interested in the challenge of learning a new language that´s alien to you, get out of your comfort zone and take a leap into the unknown! It´s not just pupils who have to study hard, revise and do homework. 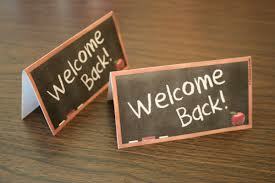 Teachers are having to go back to school too! The government has set the wheels in motion for a new school curriculum to be put in place, with a starting date of September 2014. Following a decline in the level of teaching standards relating to the national curriculum, the government is looking to give it a complete overhaul to reverse the fallen standards of the last decade. 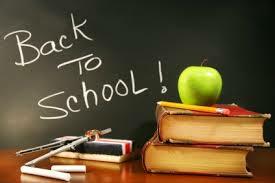 Current subjects will be improved no end to include more detail and more challenging aspects for the children, and these will be taught to children at a much younger age. For example, maths will have a greater emphasis on longer division, mental arithmetic and fractions, whilst English lessons will include harder spelling and will focus more on grammar. New subjects will be introduced such as climate change and computer programming. It will be compulsory for schools to teach children as young as 5 years old a foreign language. For teachers, these new lessons can be a very daunting prospect, particularly the latter one of teaching a foreign language. Knowing a foreign language doesn´t necessarily mean having the confidence to teach it to others, and some teachers may just be out of practice as far as languages are concerned due to a previous lack of necessity in a primary school environment. Some schools may not currently offer foreign language lessons to their pupils so are not yet in a position to cater to these new demands. However, there is time to prepare. The details of the new national curriculum are set to be finalised this autumn, giving schools and teachers a year to make provisions for the changes. If, like the teachers, you feel the need to brush up on your foreign language skills, why not start with some German lessons in Nottingham to get ready for the future. It’s no surprise that a country so rich in beauty and culture should produce so many of the world´s renowned artists. Spain is a diverse country and it holds a lot of inspiration for onlookers, particularly those with a creative disposition. Pablo Picasso was born in Madrid in 1881 and was particularly known for his co-founding of the Cubist movement which was considered to be of the utmost importance in influencing the art movement during the 20th century. His famous works throughout his life include Guernica, Weeping Woman and the controversial Les Demoiselles d’Avignon. Francisco Goya, born on 1746, was a court painter to the Spanish Crown and a Romanticist painter. He was regarded as the greatest Spanish artist of the late eighteenth century as well as the first of the modern artists in the early nineteenth century. His artwork took an unexpected change from light-hearted to sinister works, known as the Black Paintings, during the turbulent reign of Ferdinand VII. 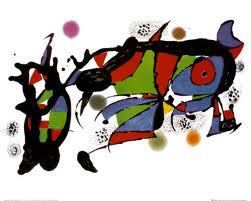 A surrealist artist and part of the Dada movement, Joan Miró received prestigious awards as recognition of his talents, including the Guggenheim International Award and the Gold Medal of Fine Arts which was presented to him by King Juan Carlos of Spain. The Fundació Joan Miró, a modern museum of art, was built in his native city of Barcelona as a dedication to his work, and the Fundació Pilar i Joan Miró a Mallorca was established in Palma de Mallorca to house a major collection of his artwork and memorabilia. Just like Miró, Salvador Dalí was also a prominent surrealist artist who was heavily influenced by Cubism and Dada. The eccentric artist from Figueres produced famous works such as The Persistence of Memory, Millet´s Architectonic Angelus, and The Invisible Man. If you find Spain a great source of inspiration but are more inclined towards languages than art, why not express yourself in Spanish after taking lessons in Oxford or a city near you. You are currently browsing the Language Museum weblog archives for July, 2013.